Paper provides back-up to online systems, and is sometimes preferred for patients charts, records and a host of other medical documentation. For many years, printing costs in the healthcare arena have been absorbed in generic accounting and seen as a normal cost of doing business. Because this expense is captured within department line items, it is typically not actively managed. Ask yourself a question, "What is your print strategy? 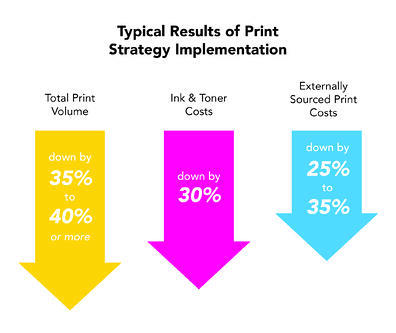 The answer that most healthcare executives will give is, "What is a Print Strategy?" Printing cost is one of the last unchecked expenses in Healthcare. Because visibility to this expense is low, it can grow uncontrolled and eat up as much as 3%-5% of controllable expenses according to Gartner research. 1. On average, nearly 50% of printing is wasted! Since the cost of an individual print is so low, organizations perceive the print cost to be virtually free, but most organizations produce thousands of prints. The costs do add up. 2. 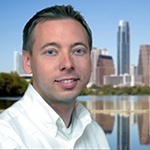 Printing costs can easily be tracked with inexpensive cost-control software. Our leading UBEO cost-control solution will help your organization capture print costs effortlessly and provide tools for active cost savings and enforcement of print policies. How can you see how much you are spending? Printing costs are one deliverable from a Business Technology Assessment (BTA). Our business analysts at UBEO can provide you a complete picture of your printing spend, your work-flow challenges and the state of your current business technology. A BTA is a simple, but thorough process that causes no disruption to your daily operations. Assessments will typically involve two or three minutes per printing device as well as one or two questions from key users in each department. Most of the heavy lifting is done back at UBEO where we process the data, analyze your situation and present you with options to meet your goals. For more information on the BTA and UBEO, give us a call at 1.888.201.8431.